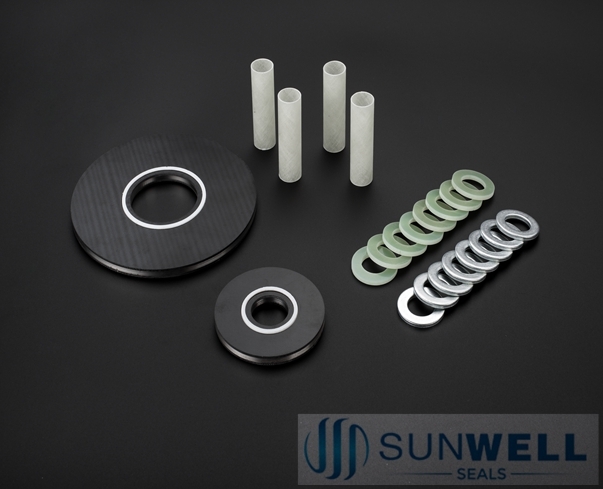 SUNWELL SEALS CHG gasket material incorporates high-strength, glass reinforced epoxy laminated bonded to a stainless steel core. 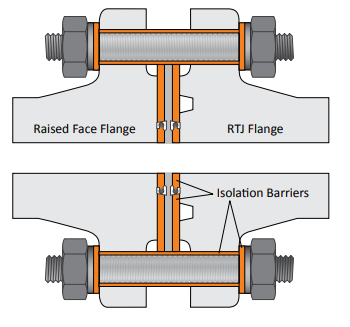 This provides the strength of a traditional metallic gasket while maintaining complete electrical insulation between the flange faces. Seal grooves are machined through the laminate insulating material and into the stainless steel core which provides a strong base for the seal to seat into and breaks the potential leak path that is inherent in glass laminate materials. 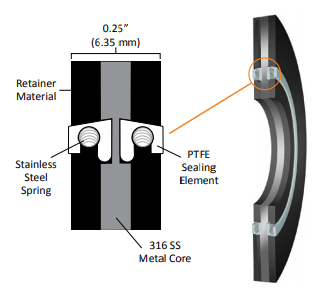 Spring energized Teflon internal face seals are installed in the dovetail shape seal grooves to provide the reliable sealing. Easy installation, make up and removal. The standard stainless steel core is SS316L, special materials such as duplex steel, inconel stainless steel are can be made according to your requirements. The standard glass reinforced epoxy material is NAME G10, G11 is available when the temperature requirement is higher.